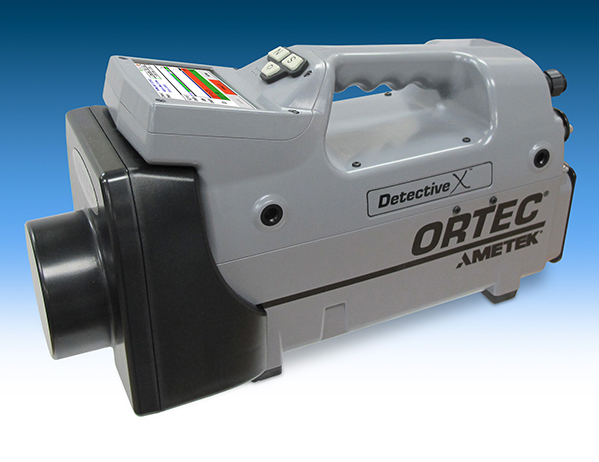 The Detective X is the latest addition to ORTEC’s industry-leading line of field-proven Detective high-resolution RIIDs. 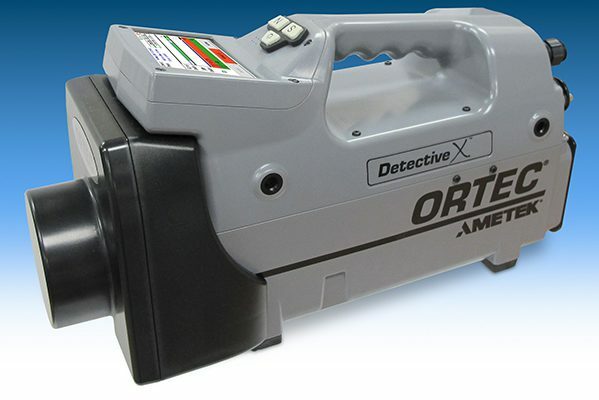 ORTEC Detective products are the standard devices deployed by Customs, Defense, and Intelligence agencies and by many state and local First Responders in the United States and in more than 60 countries around the world. ORTEC’s Detective products are widely known by federal agencies as the “Gold Standard” for interdiction of potential nuclear threats. The new Detective X is faster, lighter weight, and is manufactured in a more rugged package. The Detective X includes a large 65mm x 50mm high-purity Germanium (HPGe) detector and incorporates a field-proven AMETEK Sunpower® Stirling cooler. The system employs AVC™ (active vibration cancellation), a technology that virtually eliminates vibrational noise thereby offering superior detector resolution and identification performance. • Larger display screen that is easily readable in sunlight. “For customers who need the detection sensitivity of a large HPGe crystal to detect and identify shielded or masked special nuclear material (SNM) threat sources, the Detective X offers superior performance in a package that is about half the size and weight of our popular Detective EX-100T,” states John Smalling, ORTEC’s Homeland Security Product Manager. More information on the Detective X is available at ORTEC-Online.com/Radioisotope Identifiers.